Target back pain and a enjoy deep, relaxing massage anywhere, anytime, with the Bella Vita Wireless TENS Massager. Do you feel pain accumulating doing everyday tasks? Sitting at a desk, bending to pick up the kids, being on your feet all day and heavy lifting are just some of the things that are likely to cause soreness and stiffness in various areas of your body. 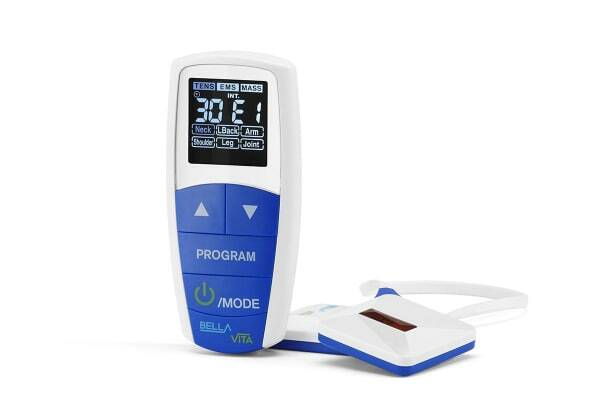 The Bella Vita Wireless TENS Massager can help assist in the treatment of back pain, stiffness and sore muscles as the massager releases systematic bursts of high-frequency impulses, suppressing the transmission of pain in the nerve fibre and increasing the release of the body’s own endorphins to help alleviate pain. With 14 programs built into this compact device, you’ll always get the relief you need with the program that best suits your needs. 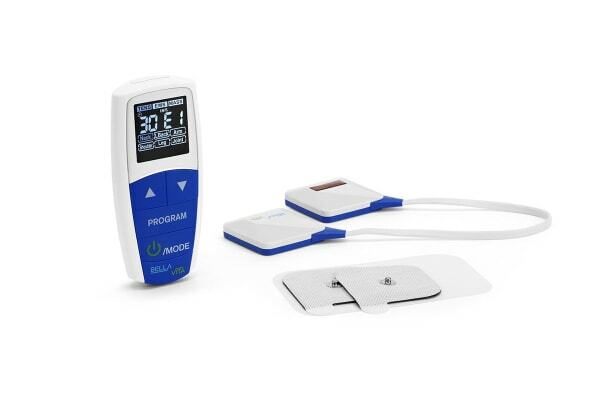 6 TENS Programs – Transcutaneous Electrical Nerve Stimulators work by interfering with the transmission of signals from underlying pain receptors, offering a safe, effective, medication-free way to help alleviate pain. 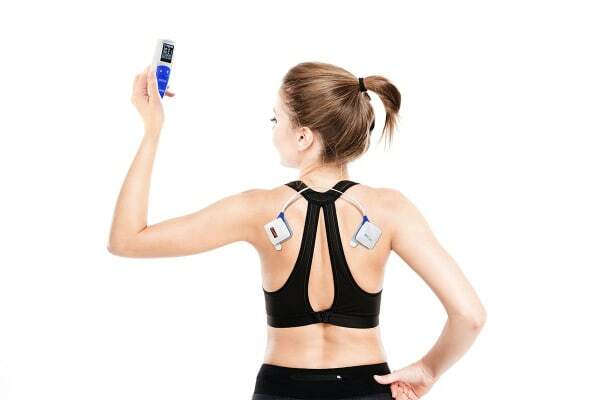 5 EMS Programs – Electronic Muscle Stimulation works by electrically stimulating and contracting your muscles via an electric current, which helps to strengthen weak muscles and build foundations to prevent further injury. 3 Massager Settings – With a low, medium and high setting, the TENS massager loosens and relaxes muscles by getting deep into your knots to alleviate tension and muscle pain at the level you require. The Bella Vita Wireless TENS Massager’s thin, compact and flexible design perfectly contours to your back for a perfect fit on almost any body shape. Discreet, comfortable, and easy to use, this tiny unit wirelessly syncs with the remote controller and is easily recharged with a built-in Lithium battery, so you can help treat pain on the go and maintain your lifestyle without any bulky attachments, pesky wires or fear of the batteries going flat.